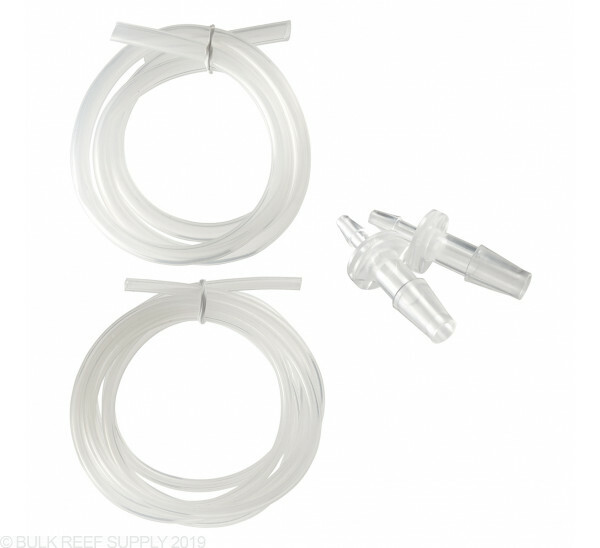 Adjustable Flow Rate from 1mL to 120mL per minute, continuously! Pump worked great for first month. Screen went out recentlly and Brs has deffered me to coralvue and they advise me to restart and even take it apart and unplug the screen wires. So their only solution is to send it in for repairs wich i think is ridiculous for a 300 dollar pump that is only a month old. being on a calcium reactor its not like i can just put it on pause for a month while they figure out whats wrong with the pump. Brs has always taken good care of me and any problems ive had with anything ive purchased from them, but dosnt seem to be the case with this pump. Im very unhappy with this pump and the whole situtation. Mine worked great for a few weeks then the screen was reversed on one side for couple days. Contacted kaomer and they told me to restart it. After I unplugged it and plugged it back in the screen got real dim then went black. Now awaiting contact from brs to hopefully return it and try another. Great addition to my reef tank. Is very silent and small. I was having trouble with alk stability when teeing off a manifold to feed the Calc reactor. So I went ahead and bought this. I set it up to pull water out from my ca-reactor at 75ml/min. Alk level barely moves from test to test after dialing it down. Has been running for two months now. 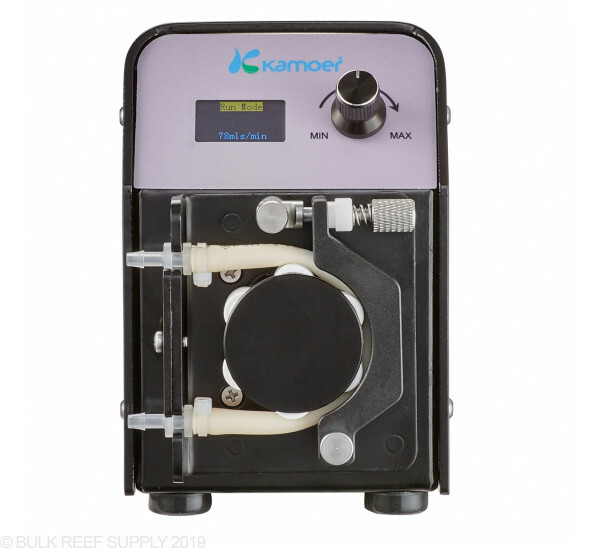 I work in the environmental field and have worked with many peristaltic pumps and I have to say that I would buy this for my company and put it in the field . It’s really good and built excellent. I picked on of these up from Coralvue as soon as they were released. 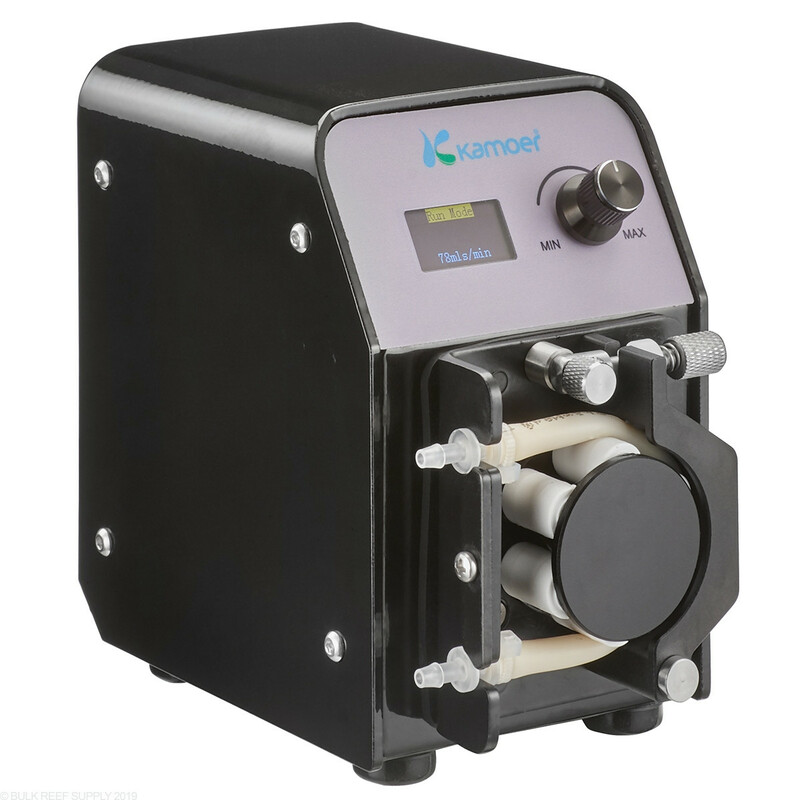 I installed it to feed my Korallin Biodenitrator which does not even need a pump to function if you choose to set up a gravity feed off of the circulation pump as I did for over 4 years. So, why would I spend the money for this pump then? If you have any experience with nitrate reactors, then you will know that the flow rate control on a nitrate reactor is the biggest drawback to this otherwise amazing maintenance reducing nutrient solution. 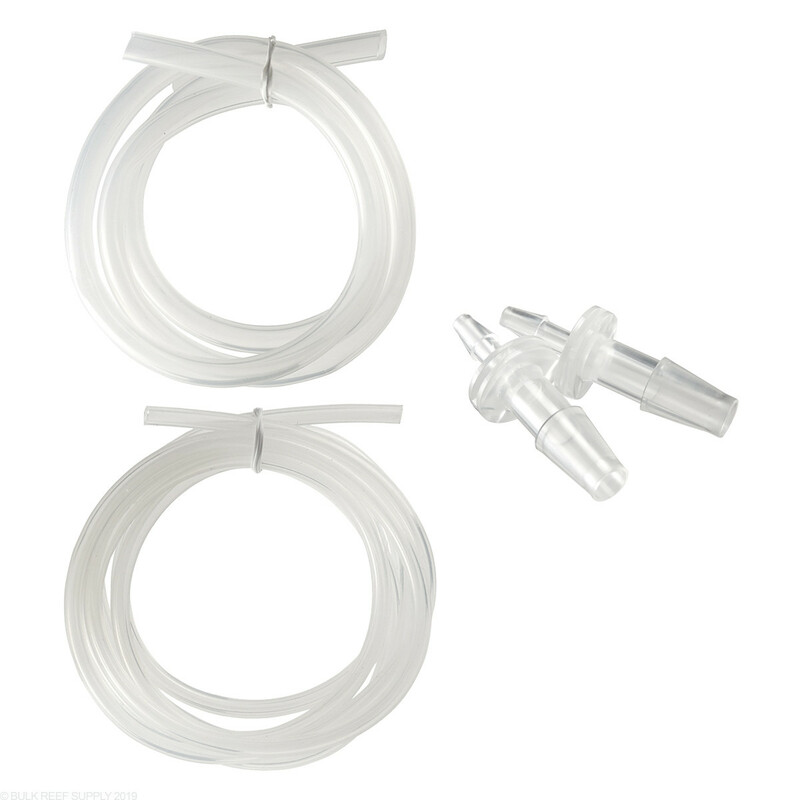 Usually you are trying to dial in a drip rate with some kind of valve, pinch or mini-ball, both of which are not exactly precise tools, or maintain a very specific ORP (-100 to -250 with -170 being ideal) inside the reactor. You think you have your reactor dialed in and then your parameters get out of range and you discover that your effluent has become clogged with salt creep or some other debris. This can be very frustrating and lead many to abandon the cause in favor of additional water changes or other consumable options like biopellets. With this pump, I have been able to dial in the flow rate that suits my system and have the knowledge that the flow rate is true to measure. I also no longer have any effluent clogging issues due to the pump being installed on the inlet side of the reactor. This setup allows for any salt build up or debris to be cleared by pressure as the pump will feed at a continuous rate regardless of any other conditions that would otherwise cause issues with other feed methods. I was also able to calibrate this pump to compensate for the head pressure of my installation. I measured for the calibration at the point of discharge about 36" above the pump and adjust the calibration by measuring the output at that point. So I know that the display correctly represents the output at my specific head pressure placed on the pump output. This is worlds better then constantly guessing with other simple valves, yet at a price that is well justified when compared the the pharmaceutical pump options that others have used to solve these same issues. This solution brings a whole new meaning to having your equipment "dialed in". I am most impressed, and would recommend this product.